Friday night is usually Sushi night here at the Yoy's. Last night we switched it up, procured ourselves a last second sitter, and hit up Local Three for a delicious dinner. Mr. Yoy scored us reservations through his networking magic as he is buddy buddy with the owner/chef. Upon arrival at the restaurant, Mr. Yoy saw the owner and immediately went up to him to give thanks for the last minute reservations. They spoke for a few minutes and I settled in with the wine list. Hello, old friend. A smirking Mr. Yoy finally made his way to our table. Oy, what now? OWNER/CHEF TOLD ME THAT OWEN WILSON AND VINCE VAUGHN ARE COMING IN FOR DINNER AND THEY ARE SITTING RIGHT THERE! He pointed to the six top next to us. 1) We had just watched Midnight in Paris the other night, so I had Mr. Wilson fresh on my mind. 2) I have what in layman's terms is called AWKWARD CELEBRITY SYNDROME. I'm unsure of the technical term, but I lose all ability to speak and function normally around famous people. Mr. Yoy introduced me to former Gator quarterback (who I in no way believe to be even a C-List celebrity) Chris Leak and I just stared at him. He IS really good looking. Mr. Yoy had to step in and say something like, oh she's a really big fan. And she's mute. Fast forward a few years to when I shouted CHRIS DAUGHTRY! right into Chris Daughtry's face as he strolled by me on the Grammy red carpet. I'm a huge American Idol and Daughtry fan and I couldn't even smile and be normal. Plus, I'm like five inches taller than him, so I probably scared the hell out of him. Again, I don't consider Chris Daughtry to be an A-lister. 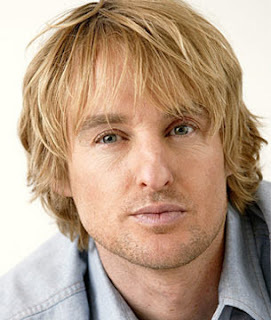 But Owen Wilson? Vince Vaughn? A Wedding Crashers reunion set to go down right next to me? Let the wine guzzling commence! I was nervous. Why? I have no idea. I kept checking the door. Again. And again. And again. Mr. Yoy strategized. DO YOU THINK WE COULD GET A PICTURE AND THEN PUT IT ON FACEBOOK AND CALL IT DINNER CRASHERS? Mr. Yoy hatched his own creepy plan. AS SOON AS ONE OF THEM GETS UP TO USE THE BATHROOM I'M GOING TO FOLLOW HIM AND PONY UP NEXT TO HIM AT THE URINAL. Really? And do what? Sign him as a client? DO YOU THINK THEY'D LIKE THE BLOG? MAYBE I'LL GIVE THEM MY BUSINESS CARD AND THEY CAN PRODUCE A MOVIE ABOUT MY LIFE?! Next, I deleted a bunch of photos on my iPhone so I'd have enough space to take seven hundred spy pictures of the back of Owen's head. My first glass of wine was done, my next one was on its way. Then Mr. Yoy dropped a bomb. I AM JUST MESSING WITH YOU, THEY ARE NOT COMING. I was bummed. With a capital B. My husband was an epic jerk. I tried to focus on the delicious meal placed in front of me and it was delicious. We ordered so much food that I had to pack up half my dinner. Plus the second glass of wine had filled me up. And now I was pretty much drunk. We both needed to use the bathroom before we headed out. Mr. Yoy and I stood at our respective bathroom doors and discussed what we should do with our doggy bag. He propped open the door to the men's bathroom to see if there was a bench or chair that he could put the food on. We had a lengthy discussion on the merits of NOT bringing food into the bathroom. In the end, we decided to go in shifts. I was up first, as I had had the most wine. As I was about to enter the ladies' room, the men's bathroom door swung open and out walked Owen Wilson. I froze. Mr. Yoy froze. It was a total awkward moment. I gave him a weird look and then ran into the bathroom and erupted into a fit of giggles. When I came out, Mr. Yoy handed me the doggy bag, smirked and went into the men's room. When he came out, I peppered him with questions. DID THE OWNER REALLY TELL YOU OWEN WILSON WAS COMING? And you know what, he did. Mr. Yoy just didn't want me watching the door the whole night. I guess Owen had snuck in and was seated at another table. But it made for a good story, so I thought I'd share it with you. HEY OWEN, BIG FAN, LOVED YOU IN MIDNIGHT IN PARIS. But I didn't. Instead I gave him crazy eyes and ran off. Sweet. My new BFF, I mean we did have dinner together. Or at least at the same time at the same restaurant.